"For as he thinks in his heart, so is he…"
What are you thinking about? What have you filled your mind and heart with? What movie is playing in the theater of your mind? Scripture teaches us to, “Be transformed by the renewing of your mind”. But how? One way we at Ekko is attempting to be transformed by the renewing of our mind, is through the discipline of Drawing Prayers and other more Right Brain worship. In Acts 10, God sets out to show Peter a new way to live and to do this, God puts him in a trance and gives him a dream. What is a dream though? 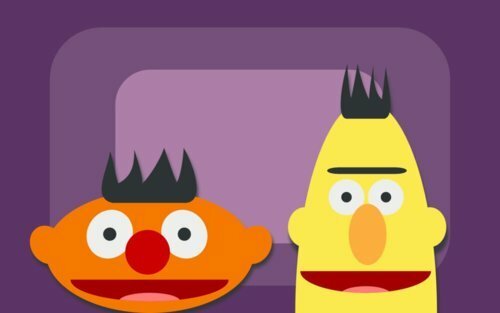 I was watching Sesame Street today with my daughter, it was Bert and Ernie’s segment. In the intro song Bert sings, “Every night when I lie in bed, I see pictures dancing in my head….” Bert was obviously referring to dreams, images encountered during his sleep. Peter saw pictures, these pictures re-framed his faith life and prepped him for change. In this trance, Peter “saw” heaven open and saw all kinds of animals he was taught to never touch or eat. "13 Then a voice told him, "Get up, Peter. Kill and eat." 14 "Surely not, Lord!" Peter replied. "I have never eaten anything impure or unclean." 15 The voice spoke to him a second time, "Do not call anything impure that God has made clean." Peter’s first reaction, often like ours, is to cling onto our past mindsets. But God had a new way for him to live. God used a dream to replace Peter’s internal script and bias! He is free love the Gentiles, empowered to serve the “Others” in his life. You see God has a new way of living for us. We too need to make time to dream, to imagine. What you can imagine you will have faith for. Imagination is the primer for faith. It is also the door to any behavioral transformation. You see, all actions are preceded by images. Therefore, In order to become new, act new, we need new images from God. This is why we pray via meditation, drawing, and other right brain worship activities. We are opening not only our hearts but both sides of our mind to God. It takes both sides to worship God. We wouldn’t imagine giving God half our heart, why would we endeavor to offer him only half our mind? Perhaps this is an indicator as to why Jesus wanted us to be child-like. Children dream, they are full of imagination. Their imagination fuels their hopes… they have faith. The right brain is nurtured alongside their left brain. But somewhere along our journey, we are told to stop dreaming, to stop imagining, to stop praying. And as our right brain begins to become an outcast, so goes our hearts broken to pieces. Let us now become like children… not childish, but child like… Let’s be the children of God… Let’s rest our hurts, insecurities, fears at the foot of the cross. And in the embrace of God, let us dream again and pray.